Entrepreneurs know that having a solid domain name can make or break their startup’s success. If your URL isn’t short, easy to remember, and relevant, it can have a big impact on traffic and company branding. Here on the Web, the most direct marketing medium ever invented, the right name is more important than ever. It can directly impact your image, instantly establish trust and credibility, and gain more recognition among all stakeholders. The most effective names serve as that one element vital to the success of all direct marketing: a relevant and memorable call to action. PeopleSolutions.com has relevance to consumers, expressing the 1-800-style "I WANT" behavior the consumer is speaking, thinking or even typing. ==> As brand names, not all domain names are created equal. Your domain name is critical to the foundation of your business – affecting your business name, your home on the web, and your email address. Owning a domain that is short, easy to remember, and related directly to your business could be the best marketing investment you ever make. 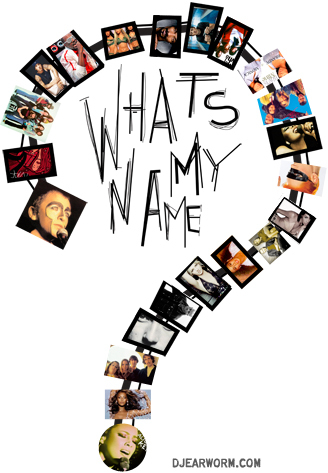 A great name is like extra octane in a brand. A bad, boring, or sound-alike name won't necessarily kill a brands chances for success. In most cases however, it dramatically dilutes the brand equity and potency. Notes successful domain name broker Mike Mann, "Name recognition is what premium .Com domain names are all about too, and without it corporations may be history; Good branding, ability to be remembered, has tremendous long term value to a corporation. Contextual .Com domains are great business investments that only go up in value. They should be used to build really powerful profitable long term brands like the worlds best marketing people do." Branding agencies, bloggers and tech companies alike agree that a strong brand can be your most powerful tool, can set you apart from the competition and demonstrates that you are an industry leader. Descriptive, generic domain names have been associated with some of the world’s most well-recognized companies including Cars.com, Shoes.com, Baby.com, Toys.com, Hotels.com and Flowers.com, etc. and have historically been the most valuable properties on the Internet. While many of these sales have been private, some public sales considered comparable to Vino.com include Wines.com at $2,900,000, Vodka.com at $3,000,000 and Whiskey.com at $3,100,000. Beer.com sold for $7,000,000 while Pizza.com sold for $2,605,000 and candy.com at $3,000,000. Tech Crunch writes "Domain names are important, and some might even say that a premium, memorable domain name is priceless. It’s become increasingly difficult to argue against businesses scooping up those short, relevant, easy-to-remember domain names when they’re available. Doing so can give your business, customers, and search engines a simple and quick way to find your business, along with the bonuses of brand protection and a potential increase in traffic, not unlike prominent placement in the yellow pages or the local shopping mall for brick-and-mortars. " Again, the clearer you can be, the better.